When it comes to optics cases and harnesses there is a lot of personal preference that needs to be considered. 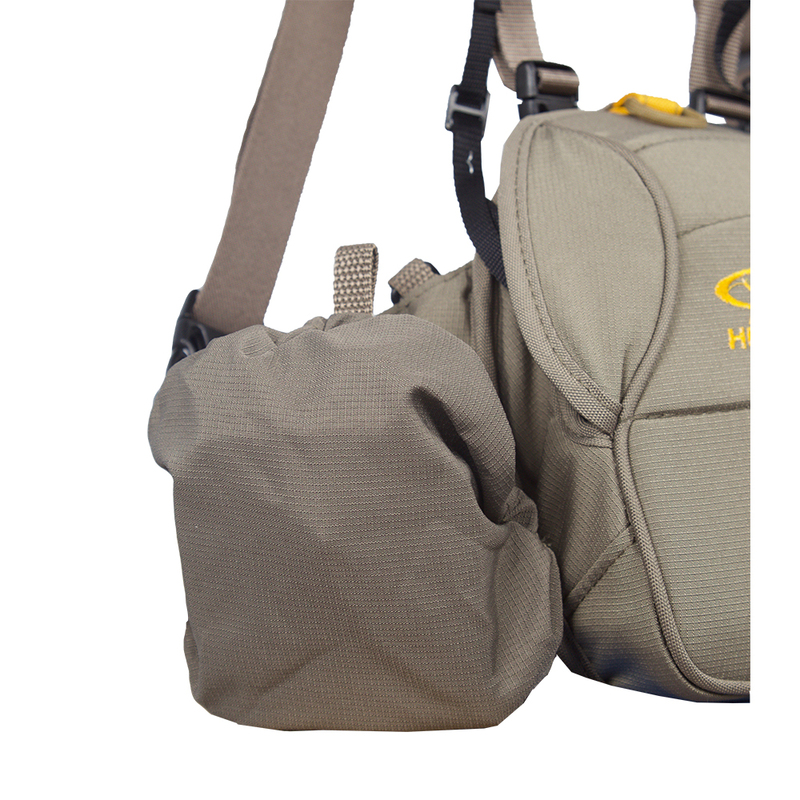 Some people love a large chest pack with a big lid and lots of compartments and pockets. Others however don’t like a lot of bulk and weight sitting on their chest that gets in the way. The op X was designed to provide a low profile easy entry Bino case with reduced bulk, and minimal movement. Rather than a large that lifts up to access your binoculars, the front of the op -X case simply opens up like a clamshell, providing a compact opening to remove your binoculars. The front shell is magnetic so it opens up with minimal movement and no velcro, zippers, buckles or straps. There are also two small side panels with loops, that allow you to add your your GPS rangefinder or radios. 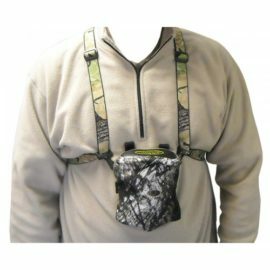 We use a lightweight breathable mesh harness for support, with elastic side straps that allow for movement in the field or treestand. 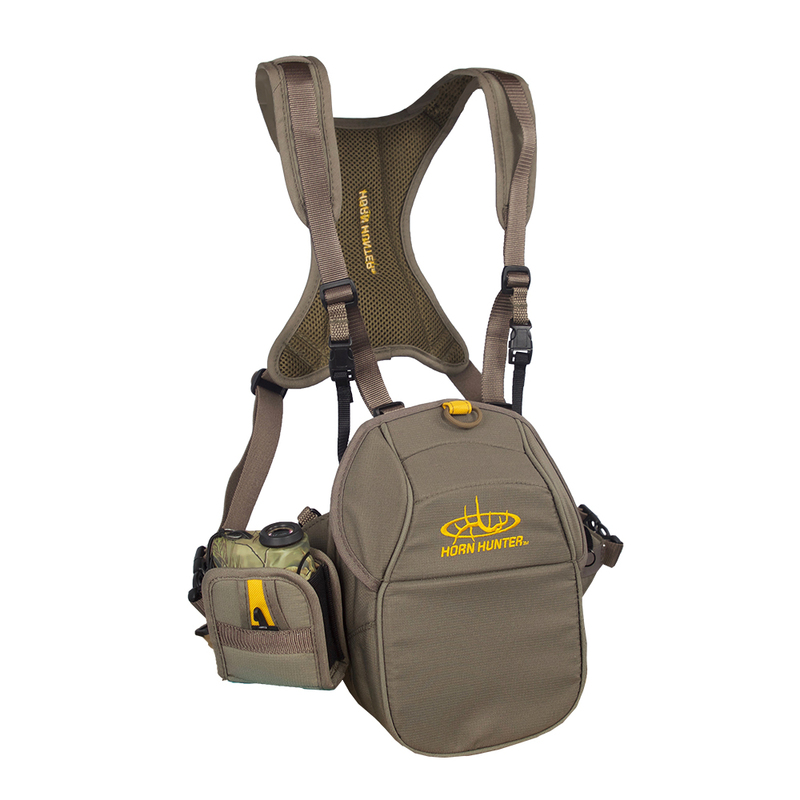 The Op-X harness also comes with quick detach buckles that allow you to remove your binoculars instantly. 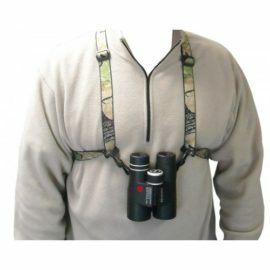 With the unique attachment system, you can secure your binoculars exactly where you want them to rest on your chest. 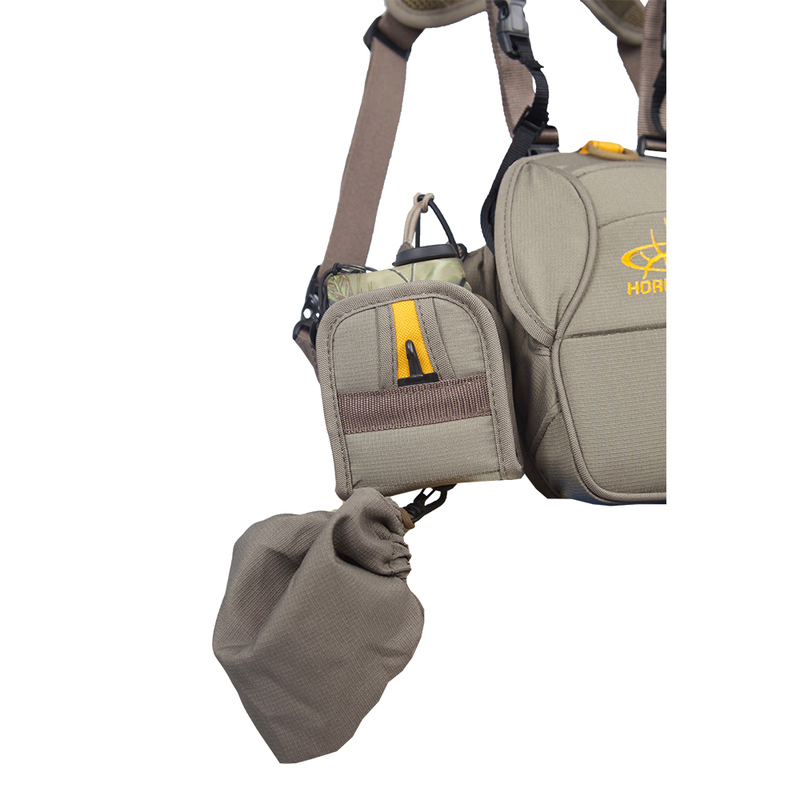 The op ex combo comes with our padded rangefinder case and a removable rain/dust cover. I have to start by saying, I did a lot of research and review reading on many different cases. I currently use only a harness with no case or protection. First I wanted a case that opens by pulling it away from my chest, so the flip up case we out for me. I liked having a range finder case and lastly a easy adjustable strap system. I purchased the OP-X combo, but not before emailing Horn Hunter with a few question, which they responded to quickly. After I placed my order I received an email thanking me for my order, then a second email shortly after saying it being sent and my tracking #. But how does it work…..Perfect! Wore it all day small game and varmit hunting and felt like I wasn’t wearing it, I’ve read reviews about how the magnets make a noise when closing, didn’t seem to be an issue. I’m sure other products work fine, but for me, these I will recommend and wear happily. 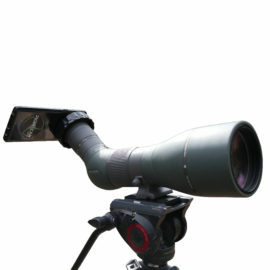 As far as a way to carry your optics in the field, this is fantastic. Low profile, stays tight to chest, very comfortable. Just all around awesome. 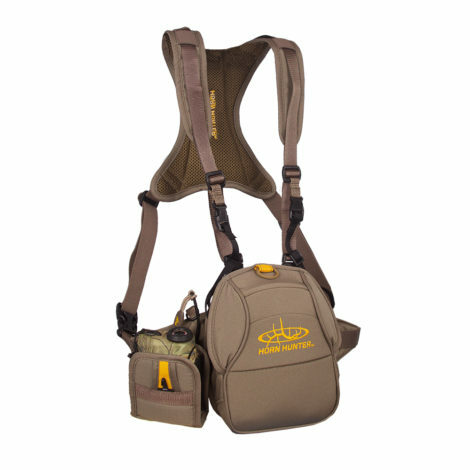 I don’t really understand why these type of bino harnesses are so expensive but that seems to be standard in the industry and these in comparison are very nicely priced. I have vortex 10×42 and they fit great but I don’t think any bigger will fit just FYI. My bro in law could not get his zeiss (not sure model) 10×42 all the way in because of the length of the tubes. Just things to consider. All in all I definitely recommend these and already multiple buddies running them as well. Bought the 10x50mm version of the OP-X, and in short, its everything I needed it to be. I have two vortex binos, one 10×42 and the other 10×50, both roof, and the 10x50s fit perfectly and the x42s fit deeper in, but still very snug and easy to get to. 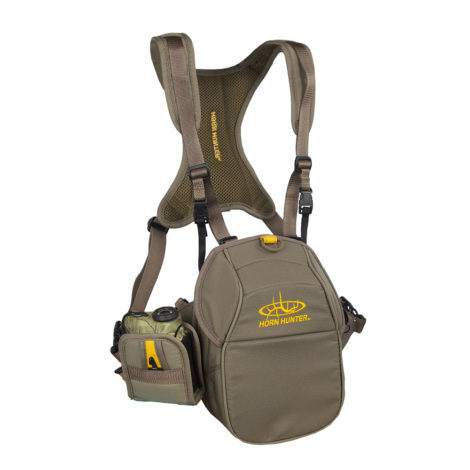 The bino harness itself is comfortable, most of my time scouting, id have them on from 0300 to about 1930 or so. Works well wearing a pack over. It honestly does feel like its even there, yet it fits snug and doesn’t flop around or get in the way, especially while using a bow. 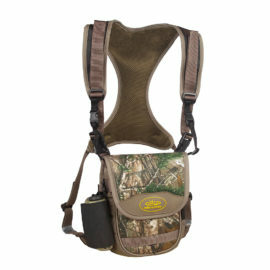 The range finder pouch is convenient. Probably the only difficulty I have is quietly removing MY range finder, which is a little small for the pouch but, I’ve learned to use the lanyard and to help get it out rather than digging my fingers in. My other range finders it that hasn’t been a problem. The harness combo is imo a great piece of gear.